No more dust! 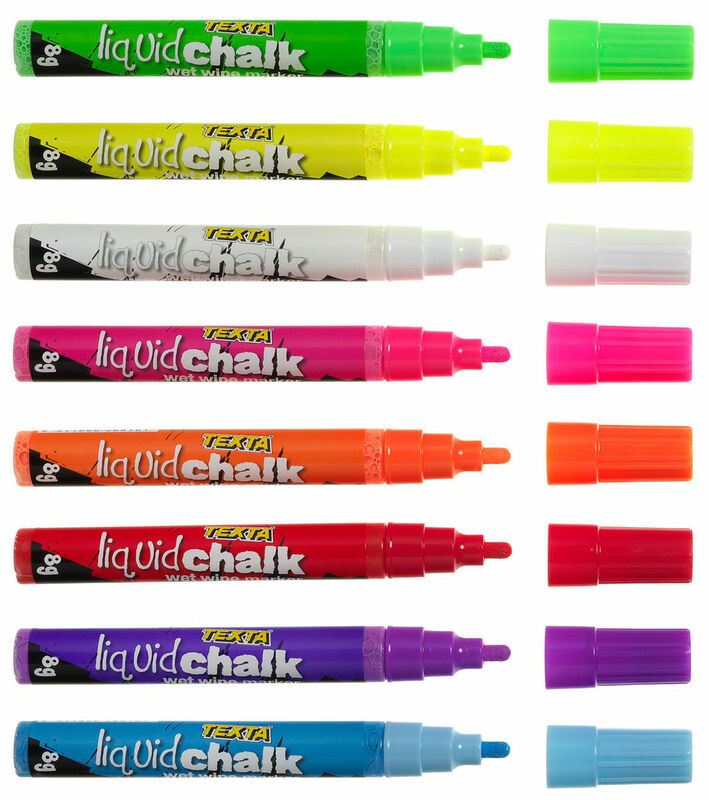 Liquid Chalk Markers in vibrant colours for all indoor use. TEXTA Dry Wipe Liquid Chalk Markers are designed for use on glossy surfaces. 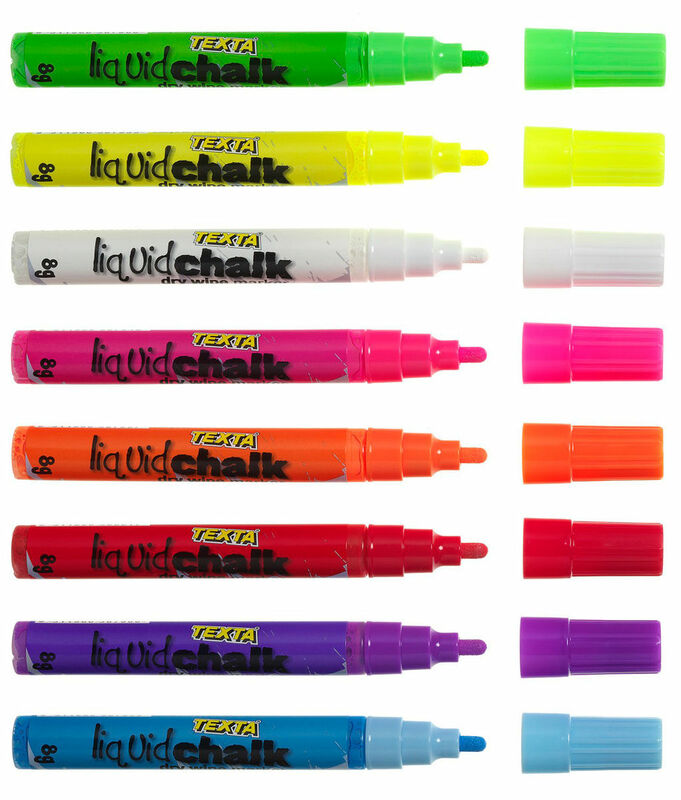 TEXTA Wet Wipe Liquid Chalk Markers are designed for use on glossy and porous surfaces including blackboards.